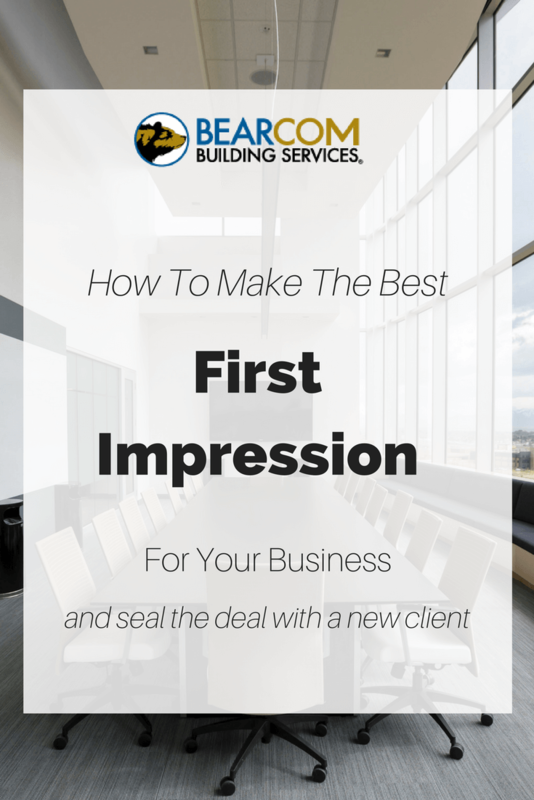 First impressions mean a lot in the business world. Sometimes you only have one shot to convince a potential client or customer that you are the right person for their job. Every second counts and that means everything that your client is observing when they meet you. If you plan on meeting clients at your place of business, then make sure that your workspace sends the right message. Start before your client even gets to your site. Communication and first impressions begin when you first set that contact invitation. From your email signature to your website, every step along the way should look thoughtful and organized. Perception starts on the outside. 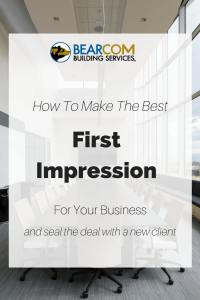 Again, before they have even stepped foot in your building, your client is taking in information about your company from how your exterior looks and is kept up. A clean, trash free parking lot with freshly painted and easy to read signs are important features yet surprisingly easy to overlook. Clean windows will help make your building sparkle and even the smallest amount of landscaping can help to create an inviting atmosphere right from the get go. Wow with the entry. Your reception area is a great place to create that lasting first impression. Your reception area should be informative and give an idea of your company’s mission, values and style. Keep the reception desk tidy and a source of pride. Don’t hide your best artwork in a conference room or private office, put it out there right in the beginning. Fresh flowers or a living plant are a cost effective way to give a bit of that extra effort to creating a beautiful space. Create a waiting area that works for your company. If your clients are going to be waiting for you they might as well be getting more information about your company. A comfortable seating area with water, coffee and reading material is a nice gesture that shows you care. Some plants and art make the area feel relaxed and inviting. This is also a great place to have information available about your company that you want your client to know. Having your social media handles framed somewhere can help your client browse and get the full picture of what you are about while they wait. Keep it clean. One of the most important things you can do to help make a great impression is to make sure your office space is as clean as possible. Hiring a professional cleaning service with a great track record will make this an easy process. You can rest easy that every area is maintained beautifully and that your investment in your office space looks it’s best when it matters. If your company wants to make the best first impression, BearCom Services would be happy to help you keep your space clean and beautiful. Have peace of mind with a trusted company and get service that shines.